Jazmin Hooijer knew exactly what to do with the bounty of figs delivered straight from the backyard tree to the ice cream cart—caramelize the figs, add a dash of verjus (the tart juice from unripe grapes used for centuries in European and Middle Eastern cooking) and swirl it all up in a mascarpone ice cream. 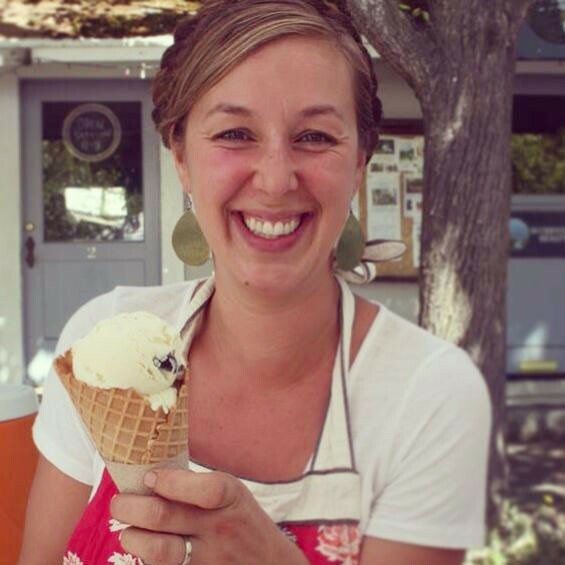 That flavor is just one of the delicious concoctions on Nimble & Finn's Ice Cream menu after Hooijer, who lives in Cazadero with her family, launched the tiny business in May 2013. Summer flavors range from a bright and tangy lemon verbena and Meyer lemon olive oil with dark chocolate chips to more traditional offerings like blueberry cheesecake, chocolate with salted pretzels and one of the most authentic tasting mint ice creams I've ever come across. "I like to take classic flavor profiles and do something new and unusual," explains Hooijer, as she describes a woodsy, sweet and earthy tasting coriander ice cream with a vanilla base. Made with mainly seasonal, organic and local ingredients, flavors shift on a weekly basis. "We wanted to have a homemade feel, but really nicely homemade and extra delicious," says Hooijer, a baker who shifted to ice cream after taking time off to raise her two children, now two and four. Her plan is to continue selling at farmers markets while expanding into festivals and private events, with a possible storefront in the future. "Selling ice cream, well, it doesn't get much happier than that," she says. "People literally squeal and dance and scream for joy when they see what I have." Nimble & Finn's Ice Cream is available at the Occidental Bohemian Farmers Market and West End Farmers Market. www.nimbleandfinns.com. 707.217.5885.